Please click the schedule for a printer-friendly version. 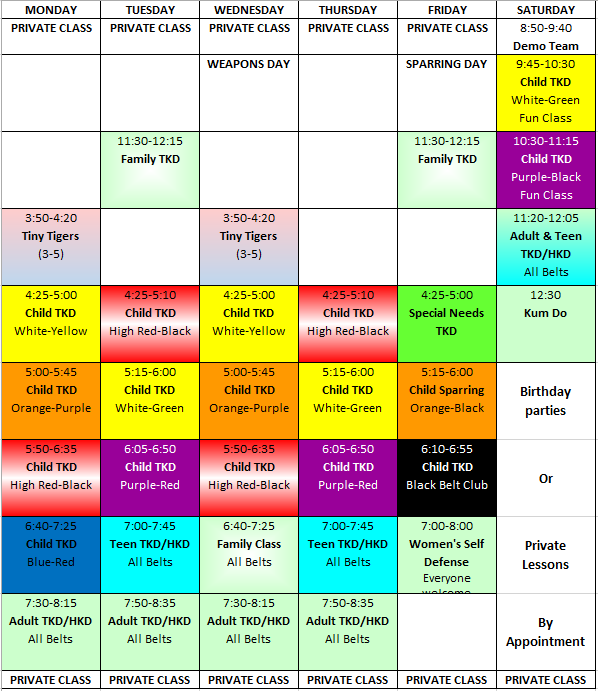 We here at Yong-In Aurora Martial Arts welcome the opportunity to have you or your children study the martial arts with us. We will do our best to help you gain the most from your training!